The old paradigm is that change is sooooo hard. Is it? Maybe it is not, or maybe it doesn't need to be. Maybe instead, using a new paradigm, change is exciting, invigorating, liberating, energizing, ...and easy! If change equals opportunity, then opportunities are presenting themselves at light speed. Companies must be agile and adept at managing to those opportunities as they arrive. Companies that can confront change today are merely the ones that survive. So, how does change fit into innovation? Let's first look at the definition of innovate from the Oxford Dictionary: "make changes in something established, especially by introducing new methods, ideas, or products." 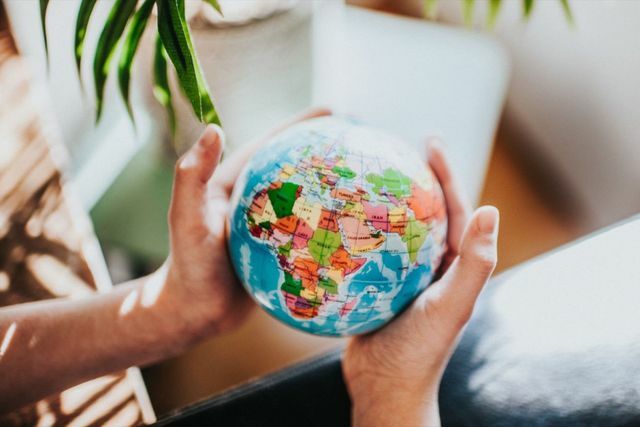 "With a global mindset and flexibility you can outpace any competitor" by Jennifer Keithson provides details on the impact an innovative leader can have leveraging the examples of Richard Branson and Steve Jobs. She explains that, "Everybody has ability to think outside the box. The hardest part is how to structure an idea, devise your business plan and then bring it to reality. The concept must also be potentially profitable while creating true value to its customers. To do this, one must have an experienced and well-trained CEO at the helm." And most of these "innovative" leaders understand that they need to breath this innovative fire or spirit into their living organization. They need to create a "culture of innovation" within that can bring diverse minds together with a vision or mindset that there is a different way to solve problems that clients are challenged with and that clients may not have even seen the problem previously. It is an environment that is willing to take risks, fail a few times, and challenge the status quo in the effort to be different, do different and provide the greatest value. Another quote I loved from this article was that, "No matter which industry one is trying to make a mark in, it is crucial to assess the current needs and find ways to satisfy them. There are many business sectors ripe for reinvention." Even with a rock-solid vision, mission and values that keeps a company "true," there has to be room for reinvention! But, as soon as you are the best, you can be better, and then that becomes best...for another minute anyway because again, change happens at light speed. Being able to reinvent is mandatory. Are you up for challenging the status quo of your mobility program? How about the idea of reinventing your mobility program? More and more often, mobility teams are being asked to kick up their strategic input and elevate their mobility program to world-class status. Consider what that means and how to get there in our recent article, "Get ready for the great talent face-off: see change as an opportunity to win the right people." It is important to keep in mind that the effective business person has developed his/her drive, vision and inspiration from experience dealing with customers and making “brain connections” with them. Branson is such perfect example. A novel idea will translate in different languages and in many locales. If you approach a problem with a great deal of enthusiasm and motivation, and you are willing to push yourself and think creatively and act rapidly upon further refining your concept, you will win the game.